Watch the videos to help you get started using Kodu and creating characters and worlds for your game. The application should be on your PC. After watching the example videos, create a world or level. Follow the requirements as listed below. 1. Your world should include at least one character that moves by mouse, arrow or keyboard. 2. The game you create should have achievements, obstacles and a way to show when points are earned or lost. 3. The player should have a way to gain health at least once and also lose lives. 4. The world should contain objects that move independently. 5. Some dialogue or text is required within the game. 6. Be as creative as possible with world and obstacles. Watch some of the examples, create one that is similar or original. Follow the requirements as listed below. 1. Your app should include at least one character that moves by mouse, arrow or keyboard. 2. The game you create should be entertaining. 3. There should be a way to show points earned and obstacles. 6. Be as creative as possible with world, obstacles, backgrounds, sounds and music. 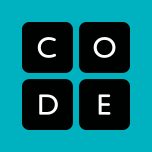 Go to code.org and click on Learn. Then choose a lesson to begin learning. When done, take a screenshot of the last lesson and the certificate and send it to teacher via your Schoology account.